The idea behind this machine learning project is to capture images together with action, while you play Mario Kart game. Then captured images are transformed into features of training data set, and action keys into label hot vectors respectively. Since we need to capture images, the emulator should be positioned at fixed location and size during playing the game, as well as during testing algorithm to play game. 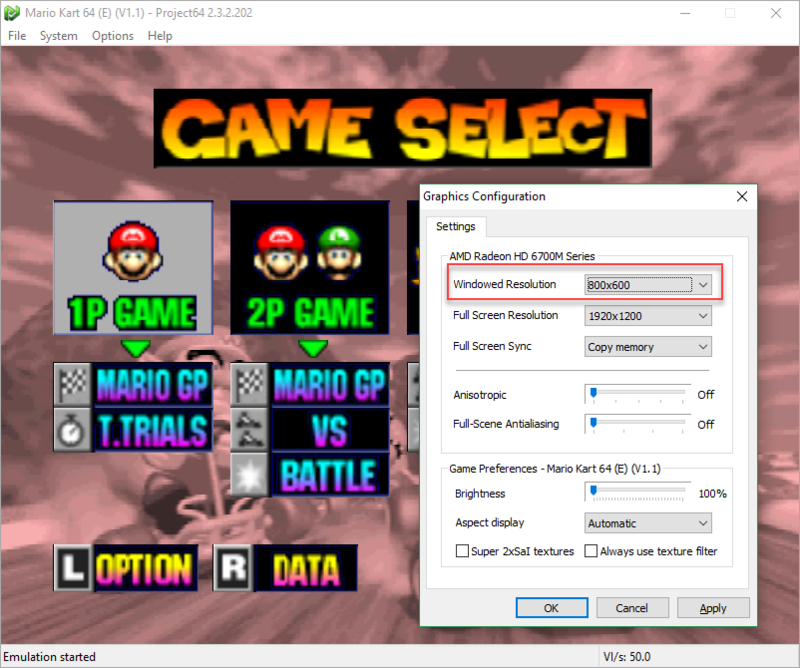 The flowing image shows N64 emulator graphics configuration settings. During image captures game is played as you would play normally. Also no special agent, not platform is required. In .NET and C# it is implemented image capture from the specific position of screen, as well as it is recorded which keys are pressed during game play. In order to record keys press, the code found here is modified and used. 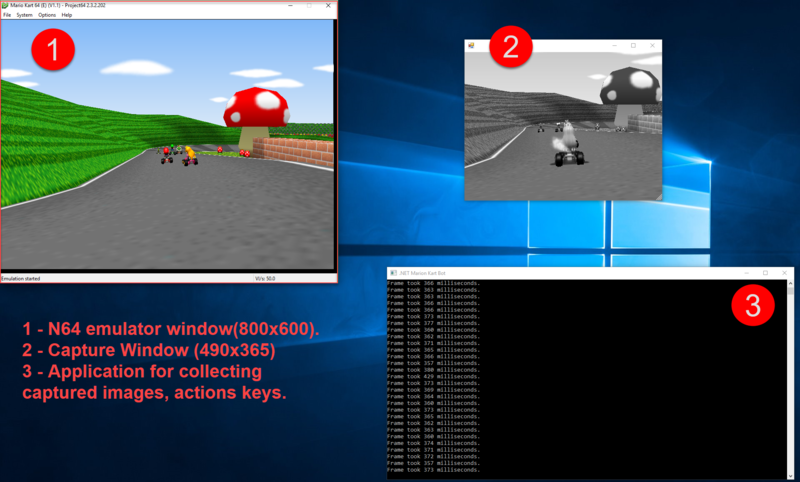 The flowing image shows the position of N64 emulator with playing Mario Kart game (1), the windows which is capture and transform the image (2), and the application which collect images, and key press action and generated training data set into file(3). each image is captured, resized to 100x74 pixels and gray scaled prior to be transformed and persisted to data set training file. |features consist of 100x74 numbers which represent pixels of the images.